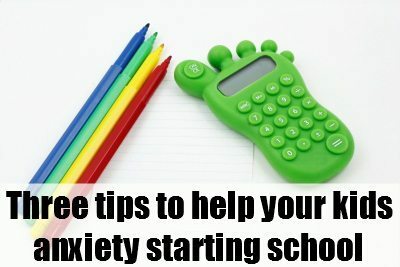 Last week, I spoke to Kate Barlow from The Parent Consultancy and asked her what her top tips were on helping your kids when they experience school anxiety, and are still struggling to settle in after a few weeks. She had some great ideas, so we are sharing them with you here…. Children are often hungry after the school long day, so a snack on the way home can work wonders and change the mood quickly. For example, I know from my experiences that if I take a snack to school, there is a lot less bickering in the car on the way home! Don’t be tempted to yoyo back and forth if she cries. Try and allow her to be settled by her teacher. The most important thing to remember is that the more confident and relaxed you are….the better. How are things at school going for you – does all this help? Do you have any other tips? Do share them with us below. For one youngster I was working with who had trouble entering school in the mornings, we developed a “No fuss, no muss” chart (his family’s idea) for which he earned a sticker for every day that he went in to school without issues. He was able to get a reward after 5 successful days, which he was proud to show me. After a few weeks, his parents happily reported that he no longer had this problem. Speaking as a mum and teacher…some great tips, especially keeping the drop off brief.